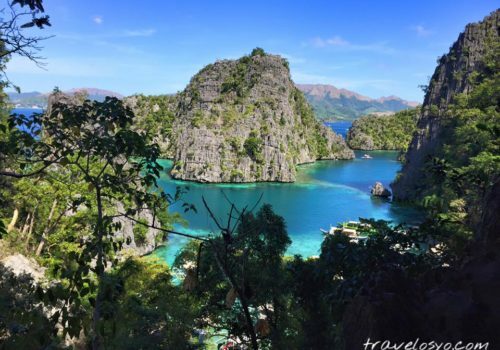 5 Reasons the Philippines Will Surprise You! The Philippines is only a two-hour flight from Taiwan, where I’ve lived since 2011. However, despite it being so close, the Philippines was never high on my list of destinations to visit. I just always assumed there wasn’t anything special to see there besides beaches, which I could easily see in more exotic places like Bali or Thailand. 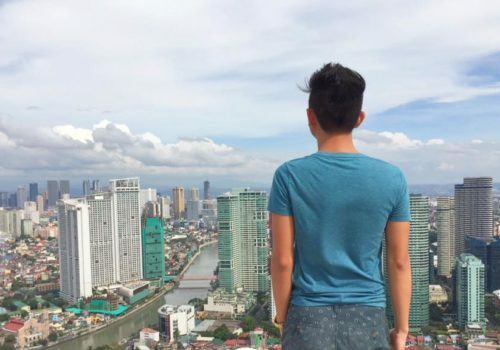 If you’re like me and have had the same assumptions, then here are five reasons I think the Philippines will surprise you. 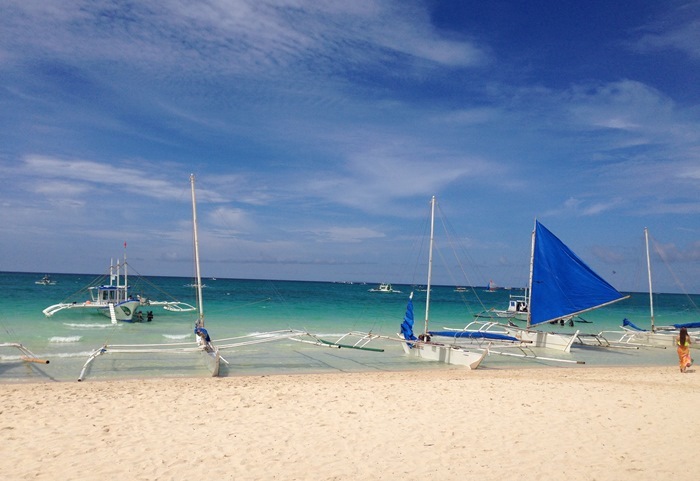 Ok, I just said I assumed the Philippines was nothing but beaches, but OH MY GOSH… the BEACHES!!! In all my travels, I’ve never seen such beautiful beaches as I did in Boracay and Guimaras. The best part? It’s not imaginary, and it’s not Bali, it’s not Thailand… this is the Philippines! The Philippines was a colony of Spain from 1521-1898, beginning with the arrival of Ferdinand Magellan, who made alliances with the natives in what is now Cebu, in the Visayas. Magellan converted the natives to Catholicism, and although he was killed in a battle a little more than a month after his arrival, more Spanish expeditions followed, and subsequently, the Philippines was renamed Las Islas Filipinas after Philip II of Spain. 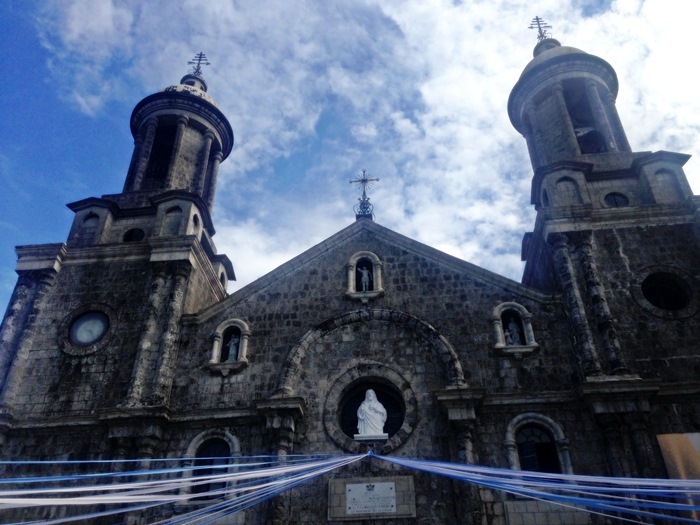 As a result, the Philippines is still predominantly Catholic, and how unexpected it is to see countless churches, cathedrals, and buildings showing off the beautiful Spanish style and architecture in Southeast Asia! I never see or hear about Filipino food making any lists of top world cuisines, so my expectations of the food weren’t very high. Boy, I was wrong! I was shocked to discover that Filipino cuisine, influenced by Chinese, Malay, Indian, Spanish, Japanese and American flavors, combined with indigenous ingredients and cooking methods, is nothing short of amazing. I pretty much ate my way through the Philippines for two weeks, with favorites like Chicken Adobo (chicken braised in a garlic, vinegar, soy sauce mixture), Crispy Pata (deep-fried pig knuckles), and Leche Flan ( a dessert made from milk and egg with a caramel sauce). From vegetables to fruits to a variety of meat and seafood, the food was also very fresh. In Iloilo, Guimaras, and Bacolod, many restaurants practiced “farm to table” in which they buy directly from farms and serve everything very fresh. Many of the farms are also organic to reduce the environmental impact of pesticides and to keep foods healthy and natural. The only thing that didn’t surprise me? That my pants were tight by the time I left! Most countries in Southeast Asia are pretty inexpensive, like Vietnam, Thailand, Cambodia, Malaysia, Indonesia and even Taiwan. However, I was amazed at how cheap the Philippines is to eat, stay, travel and shop. For example, in Boracay, where it’s more expensive than most places in the Philippines because of high tourism, I bought a really nice 10L dry bag for $4 USD! A full American breakfast was less than $5 USD, beer was less than $1 USD, and in Manila, a bus ride to Tagaytay to see Taal Lake was less than $2 USD each way. Most amazingly, in Manila, my friend and I stayed in a luxurious condo through AirB&B that had an amazing view of Manila Bay from our 25th floor balcony, boasted a really nice gym and swimming pool, and was just down the street from PICC (Philippine International Convention Center), where the TBEX Conference was held. Guess how much we paid IN TOTAL (before splitting it) for four nights. You’ll never guess. You’ll be totally shocked… $135 USD!!! Ok, pick your jaw up off the floor, and let’s move on to one of my favorite surprises about the Philippines. Even while it was pouring rain, the police were smiling. Btw, it was THEIR idea to take the selfie! 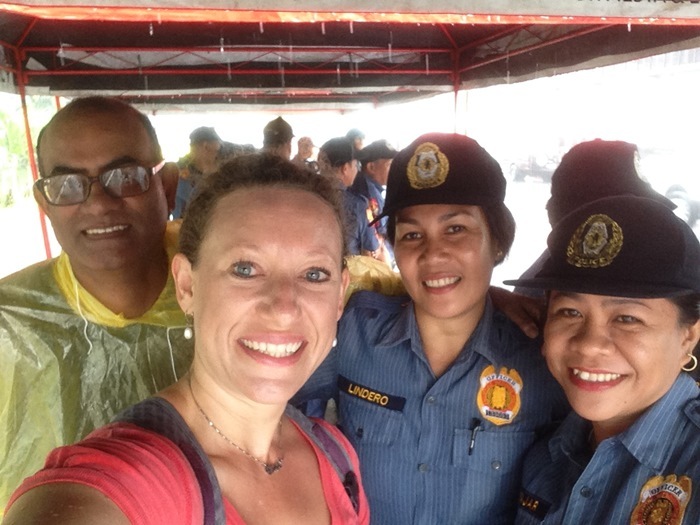 I can’t say enough about how sweet, caring, nice, generous, helpful, respectful and friendly Filipino people are. The “Filipino Smile” is really a thing, and everywhere I went, I was greeted with a smile and called “ma’am”. Even the police were so friendly and fun! The main, and most important, thing is that contrary to what the media would have us believe, I felt completely safe in the Philippines. As an American, at first, I was worried about my safety and even wondered if I should tell people I’m from Canada haha. However, after talking to many Filipinos, they all assured me that Filipino people love Americans (and visitors from other countries too! ), and that regardless of what the media shows about political issues, Filipino people still have big hearts, pride in their beautiful culture, and a love for sharing it with others. BONUS #6: Really strong beer! I like a good beer, especially when it’s cheap, ice cold and there’s a nice view to enjoy it. However, as many people say, Red Horse beer will kick your a**… and it did! At 6.9% alcohol, I drank four 500mL bottles of the stuff my last night in Boracay. Let’s just say that I brought new meaning to “pub CRAWL”! 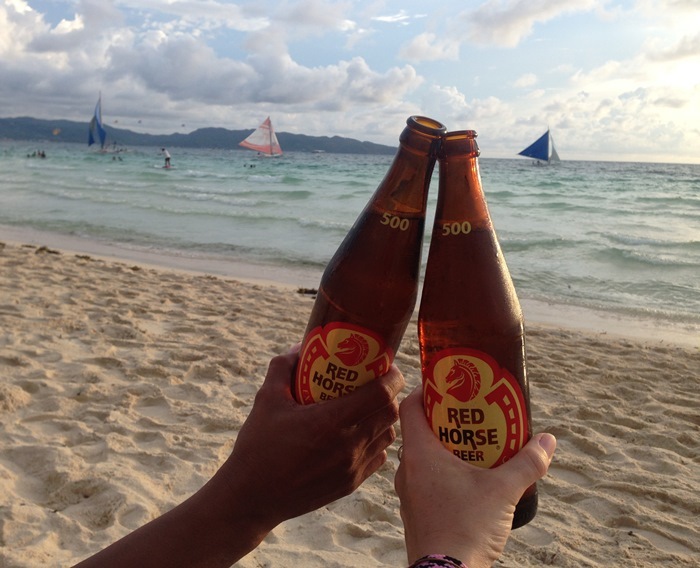 But I will say this… Red Horse beer is one of the smoothest beers I have ever drunk. I would have never known it was so strong from the taste, but what a surprise! Overall, the Philippines is a wonderful, beautiful country with a rich history, amazing food, and even more amazing people. I was happily surprised by everything it has to offer, and all I can think now (shakes head) is, “Why on earth did I not consider going there sooner? 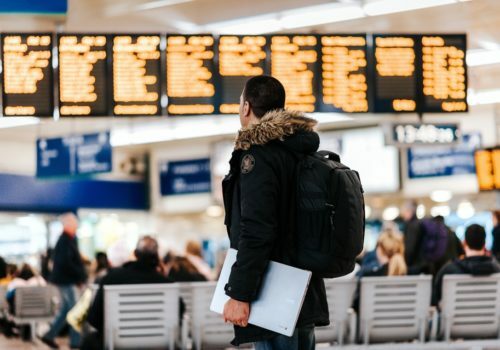 !” Needless to say, I’m already looking at booking my next trip. Hope to see you there too! 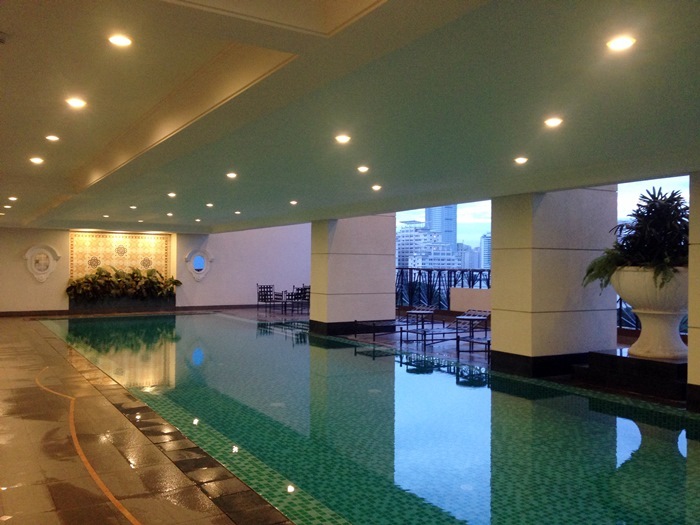 Looking for a place to stay in the Philippines? Book with Traveloka to enjoy a big discount! Deborah Provenzale is an American expat living in Taiwan since 2011. 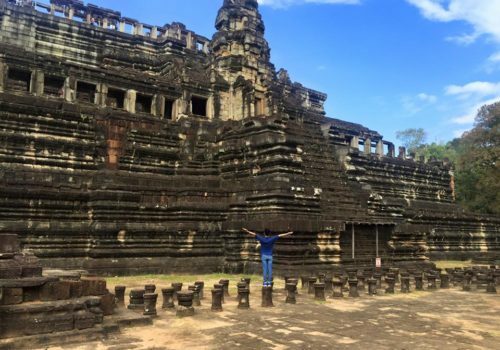 On her blog, www.101ColoredDoors.com, she shares her adventures in traveling and her experience as an expat with advice and tips for others who want to travel more or also become expats. Deborah is a certified Lifestyle Coach, helping people have the courage to step out of their comfort zones and try the things they've been wanting to do. She believes that it's never too late to try something new, and that the time to get started is today. What a great summary of reasons to visit the Philippines. It is truly a beautiful country, with friendly people and amazing food. I had heard that the Philippines wasn’t that cheap so it is good to hear that it can still be done on a budget if needed. Philippines is catching up with tourism a lot these and you’ve just given me 5 reasons to go there. I live in the Middleeast and have met a lot of Filipinos living here and just like you said they are very friendly and warm, always joyful and adventurous. A great read! Now to go and get those Red Horse beers and give a new meaning to pub crawling! 😛 Need some tips from you for that. Haha, thanks for the fun comment, Johann. I totally agree – Filipinos that I have met anywhere in the world are all friendly, warm and joyful, and after visiting the Philippines, I can see why. 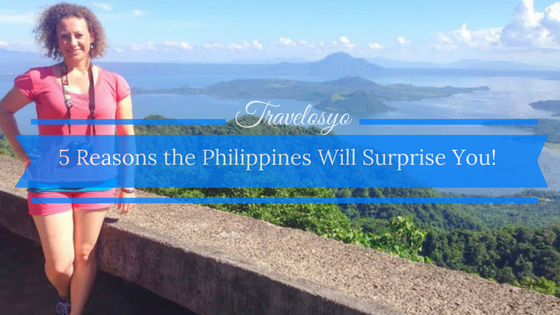 I’ll be writing more articles soon about my experiences and impressions of the Philippines beyond this list, so stay tuned here on Travelosyo, as well as over at my own blog. As for pub crawling with Red Horse (mine was more like beach crawling – literally haha), here are some quick tips: 1. Eat a big dinner and 2. Pace yourself! I didn’t do either of those, so you can learn from my mistakes. 😉 I hope you find your way to the Philippines soon! It’s really a wonderful place, and you won’t be disappointed! I’ve been reading some articles about the Philippines, now I’m eager to plan a trip thereto! Beaches look stunning and I wouldn’t mind a bit of art and culture, even though it’s European and not exactly local! Awesome to read it from a foreigner’s perspective! With more than 7,000 islands, there really is so much more to see in the Philippines for everybody! Awesome list and I agree to everything! Philippines is a veritable paradise on earth. The sheer natural beauty is enough to draw you like a magnet. The islands and beaches are really exotic and the stuff that dreams are made of. And as you point out there is much more to it than just that. Glad that you finally visited Philippines. I honestly get teary-eyed whenever a foreigner loves my mother land. 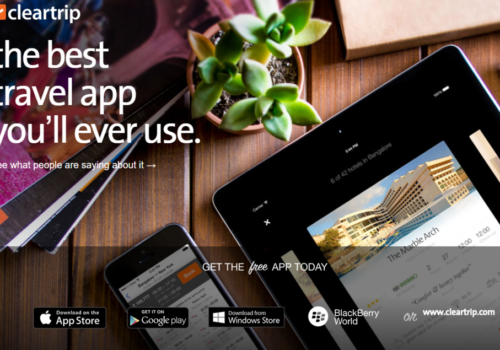 Hopefully you can visit us again here and you can def add more reasons in your list. Happy Travelling! Great! Philippines from a different view. It was great to read something different about it apart from the regular beaches. I’m glad it was useful for you. 🙂 I have so many great things to share about my experience in the Philippines… other than just the beaches 😉 so stay tuned for more articles here on Travelosyo, as well as my own site. Great that you enjoyed your stay here! Hope you come again soon and I will drink beer with you while we watch awesome sunset views! Hey, Carla! It was so great to meet you in the Philippines! I’ll be back there in January for Dinagyang Festival, so I’m going to hold you to that! 😉 I’ll let you know my plan of where I’ll be and when. I’m planning to stay in Iloilo, hit Boracay again for a few days, then finish it up in Manila. So let’s find a way to have that beer and sunset in one of those places! 😀 Look forward to seeing you again! I love what you wrote…you basically summed it all up…glad you were able to my city. I hope you enjoy your next visit as much as you did on your first trip. Thank you for writing this. 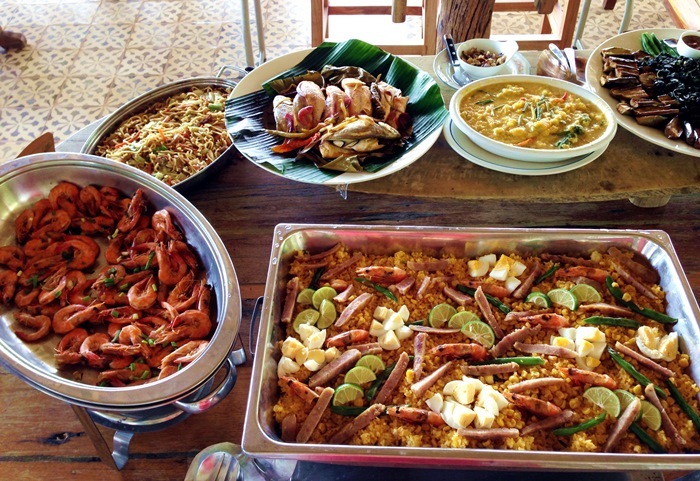 It is indeed a surprise that Filipino cuisine is influenced by several other cuisines. Good to know that Spanish history is preserved well, I would like to see that. Hi, Indrani! Oh my gosh, Filipino cuisine is absolutely amazing, and probably one of the biggest surprises! I never expected such flavor, variety, and yes, the influence of so many other cuisines. How is it that we never hear about it?! The Spanish history is really awesome too! So surprising and wonderful to find beautiful cathedrals and churches in Southeast Asia where one would expect only temples and mosques! I’m planning to go back in January too, for the Dinagyang Festival in Iloilo! Just booked my ticket, in fact. 🙂 Yes, definitely the food & beaches… and also lots of new Filipino friends I met. So many reasons to go back. Enjoy your time there! Fantastic post. I completely understand where you are coming from. Thanks for sharing and hope to see you in the Philippines soon! Thanks, Maureen! I hope we can meet in the Philippines again too… hopefully in January for Dinagyang Festival in Iloilo! 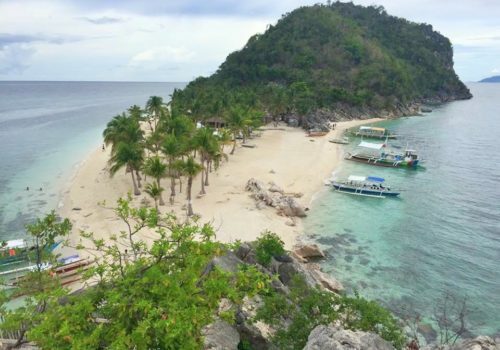 Your Complete Travel Guide to Islas De Gigantes! 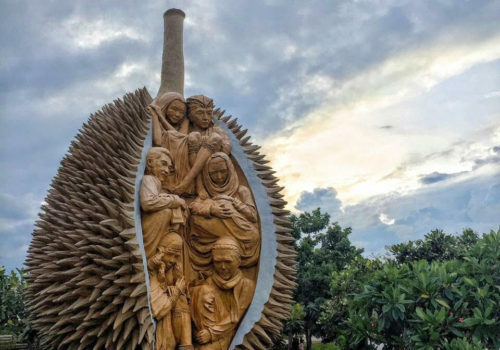 Your 24-Hr Travel Guide to Davao City- What to Do, Where to Eat and Stay!